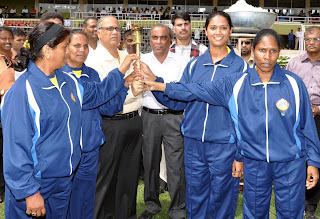 CHIEF MINISTER, SHRI DIGAMBAR KAMAT IS SEEN HANDING OVER TORCH TO THE PARTICIPANTS AT THE 35TH WOMEN NATIONAL SPORTS FESTIVAL 2009., TO MARK THE OPENING OF SPORTS FESTIVAL AT FATORDA STADIUM MARGAO ON NOVEMBER 11, 2009. ALSO SEEN ARE SPORTS MINISTER, SHRI MANOHAR (BABU) AJGAONKAR, EXECUTIVE DIRECTOR OF SAG, SHRI V.M. 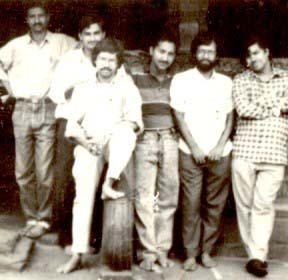 PRABHUDESAI AND OTHERS. 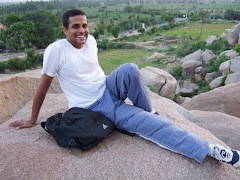 Shri John Aguiar is working for Department of Information & Publicity. Recipient of “Best All Round Student award" in Chowgule College Margao.Best NCC cadet award in Chowgule College.Writer/Poet and has books like “Paulam” and “Jinn”.Represented state at National Shooting Championship at Chennai.Recipient of award from Ponda Journalist association for dedication to duty as journalist.Recipient of Chief Minister’s Gold Medal for meritorious service in Home Guards.Passed “B” and “C” certificate in NCC. Attended several camps including Rock climbing camp at Pachmari in Madhya Pradesh and Two Army attachment with Maratha Light Infantry at Belgaum. He has Produced and presented several programmes including interviews, playlets and panel discussions on All India Radio and Doordarshan. He has worked as : Staff Reporter of Herald,Staff Reporter of erstwhile West Coast Times,Chief Reporter Goencho Avaz,Correspondent of Several news papers including Gomantak (Marathi),Worked Assistant Private Secretary to Union Minister (Group “B” gazetted) on deputation and worked in the Ministries of External Affairs, Finance, Electronic, Ocean Development, Chemicals and Fertilizers. 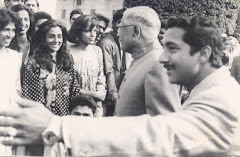 I had the privilege to meet him in 1992 and introduce the Goa cultural troupe to him at Rashtrapati Bhavan.